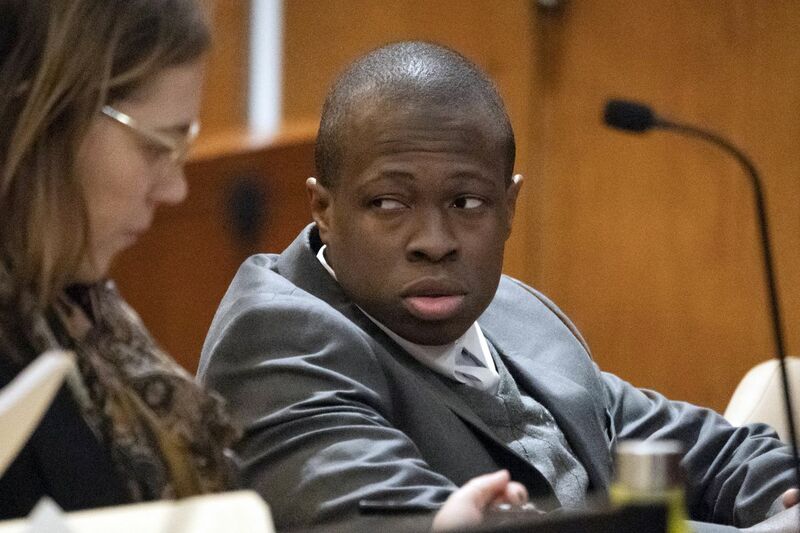 News station video showed Karina Vetrano's loved ones erupting in cheers as a Queens jury delivered in Chanel Lewis' retrial, convicting him of murder and sexual abuse in Vetrano's 2016 death. A previous trial ended in a hung jury in November; the second jury deliberated for only five hours, staying into the night to deliberate. "Jubilation. Justice. Justice has been served," the victim's father, Phil Vetrano, told reporters while leaving court. Lewis' attorneys, the Legal Aid Society, called the outcome "a complete miscarriage of justice." They had unsuccessfully sought a hearing Monday after getting an anonymous letter saying that police had pursued two white suspects before taking DNA samples from hundreds of black men — in what the defense called a "race-biased dragnet" — and coming to focus on Lewis. Phil Vetrano found his 30-year-old daughter's body, sexually abused and strangled, in August 2016 in a park where they often went for runs together. Lewis, 22, was arrested six months later. Authorities said his DNA was found on Vetrano's neck and cellphone and in a mixture of DNA under her fingernails. His own phone contained downloaded photos of the crime scene and searches for information about the case, police said. And Lewis taped a confession, saying he was upset at someone else — a neighbor of his who played loud music — and "lost it" when he saw Vetrano. Lewis' defense said that the DNA evidence hadn't been gathered properly and that the confession was coerced and didn't match Vetrano's injuries or some other facts.